Don’t just read books – absorb the knowledge within and experience massive personal growth! These FREE tools will show you how – just enter your details below to gain access! Book Clubs are a great way to read more, build skills and create new friendships both personally and professional. I’ve been running a book club, The5 for several years. Some of my favorite evenings have been spent with this group of folks. They have become some of my favorite people on the planet. HERE’S THE LINK TO THE WEBINAR REPLAY!! 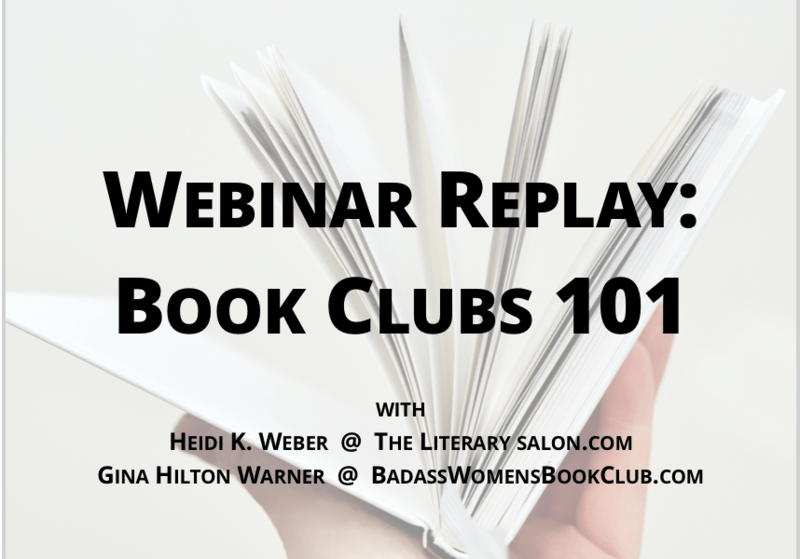 Setting up an effective book club can take a little time and energy, but in this hour long webinar my colleague, Gina Hilton Warner from Badass Women’s Book Club and I walk you through the basics steps and give you our personal tips and techniques for running an interesting and engaged book club. If you’d like to see more webinars on book club topics, send me an email at Heidi@TheLiterarySalon.com and let me know what you’d like us to discuss. Except it’s not about how many books you read, it’s how much you get out of reading each book. Maximize your book reading with my FREE tools – just fill out the form below and I’ll send them to you. Is It a Habit or a Routine? Know the Difference.